The Son-in-law of Imo State Governor, Rochas Okorocha, Uche Nwosu has formally announced his defection from the All Progressives Congress, APC to the Action Alliance, AA. Uche Nwosu said he would emerge the next Governor of the state in 2019. Nwosu, who lost out of the All Progressives Congress, APCâ€™s governorship race to Senator Hope Uzodinma, announced his defection at Sam the Mbakwe International Cargo Airport, Owerri. This was shortly after his arrival from Abuja on Tuesday. He said, â€œInjustice, impunity, and lack of respect for partyâ€™s constitutionâ€ made him dump the APC. Nwosu disclosed further that AA will work with the APC to have President Muhammadu Buhari re-elected. 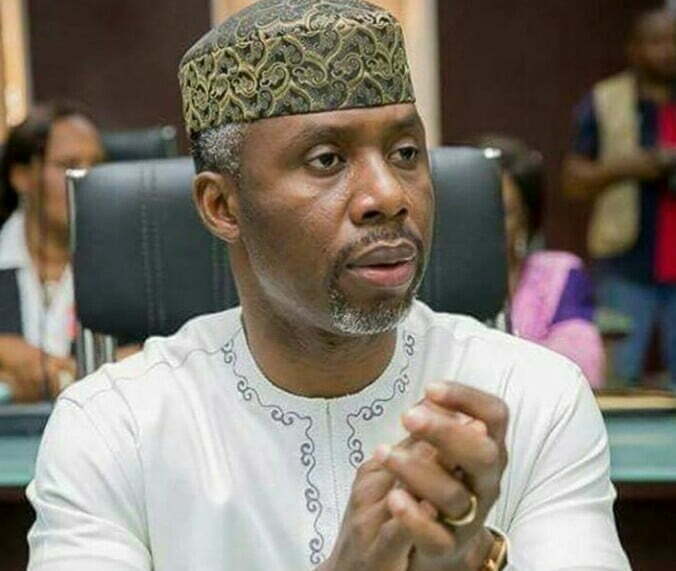 Nwosu, a former Chief of Staff to Governor Okorocha, added, â€œWe are going to work with APC to deliver Imo State to President Muhammadu Buhari. â€œWe will deliver Governor Rochas Okorocha as senator because Action Alliance has no senatorial candidate in Orlu zone. â€œI have no problem with President Muhammadu Buhari. My headache is the National Chairman of APC. â€œIt is a divine project and we are ready for the election. It is an inter-party marriage between AA and APC in Imo State.